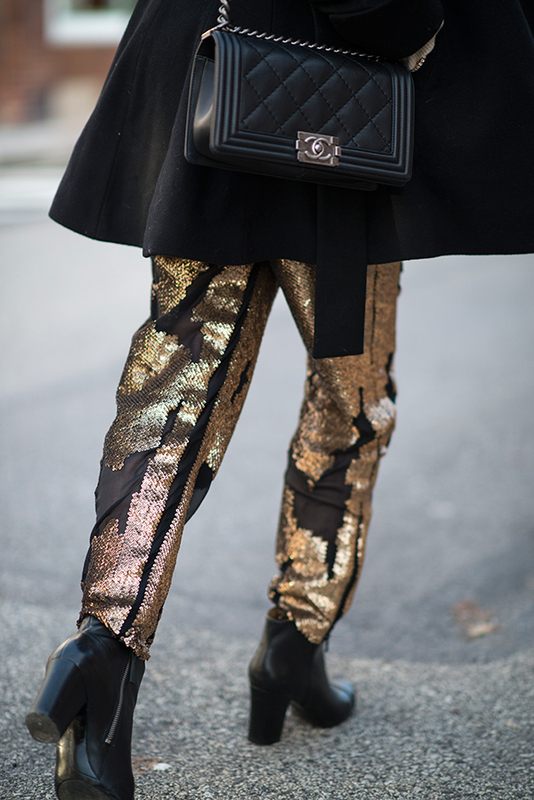 Over the holidays was the perfect opportunity to pull out these sequin trousers. Don’t be afraid to pull out some sparkle for day time. I dressed mine down with a cozy slouchy sweater. I am FINALLY feeling like a human again after being sick for quite some time and excited to get back to my normal routines. Let’s get this week started. Luba - This pants add a lovely edgy feel to your look Kim ! Rona - Perfect, love your bracelets! Belen Baquerizo - awesome pants! I would have paired them with a fitted top but it looks edgy the way yous styled it. rhiannon - so gorgeous!! those pants are amazing! Christina Storm - Love those pants! Such a great look! andreavytlacilova - Great look! You look stunning! 🙂 I love your trousers! Natali - Glamorous!! Love those pants! Taffeta and Cedar - Great look! I love those pants!